Need more information about the health benefits of sourdough bread, please send us an email. Sourdough bread offers a unique source of valuable micro and macro elements. Our story of baking bread here started in 2003 when our award winning Polish baker established the first Polish bakery in the UK. 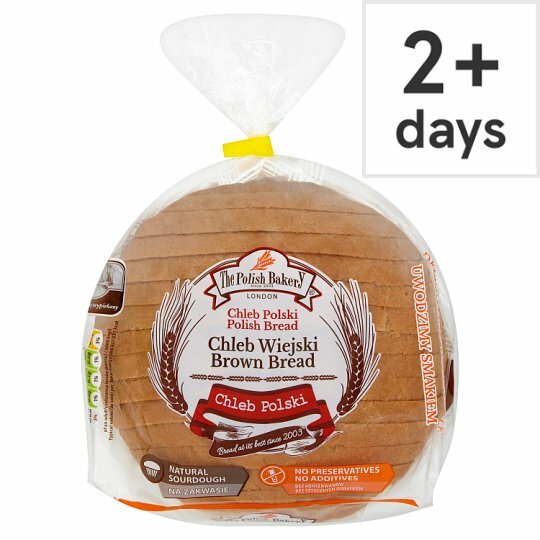 We have always baked traditional sourdough bread with genuine Polish taste. It is baked to authentic age old recipes based on our unique sourdough and using only natural ingredients, many sourced directly from Poland, to give you the best bread just like from back home. Store in a cool, dry place away from direct sunlight. The contents will remain at it's best if the pack is resealed between uses. Life of this product may be reduced under warm conditions., Suitable for home freezing. Freeze on the day of purchase and use within 1 month. Defrost thoroughly before use. Once defrosted consume within 1 day. Do not refreeze once defrosted., For Best Before, See Bag Closure.